The center of any drum set is definitely the snare drum. It could almost be called the centerpiece of the music that shaped our lives. If you are shopping for a new snare, you will find that there are a lot of variations from drum to drum. A lot of what you’re looking for in your snare drum is really personal preference. Your budget will also be a determining factor in your decision, so it is important to have an idea beforehand on what tone you are looking for and what price range you can afford to stay in. After playing for thirty years, I have a good idea what type of wood is going to make the sound I am looking for in a new drum, but if you are new to drumming, you probably have no idea what you are getting.This comes from playing a lot of snares and testing a lot of them out. If you are on a budget, this is definitely not a purchase you can afford to make a mistake on. This comes from playing a lot of snares and testing a lot of them out. If you are on a budget, this is definitely not a purchase you can afford to make a mistake on. Very affordable limited edition VX snare that gives you the aggressive attack and strong punch of a birch shell, also features 1.6 mm steel rims and an SR-900 dual strainer. Here are a few tips on what to look for when you’re out shopping, and a few reviews to help you get started. Before making a decision, head on down to the local music store and test a few snare drums out. Drums can get very expensive if you aren’t careful. If you are following a budget, there are plenty of budget-friendly options out there when it comes to snare drums. 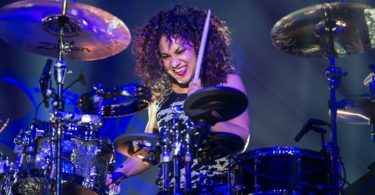 Make sure you take your time and budget out what you can spend on each drum in your set, and then do your research and find the most bang for your buck. Your sound preference will be completely subjective since it is your preference. Trying out several snare drums will help you decide if you prefer a warm snare drum or a high snare drum. You just need to figure out which sound works the best for the type of playing or recording you do. The look of the snare drum is often just as important to some drummers as the sound. You need to consider what material you would like the drum to be made of as this definitely affects the sound as well as its appearance. Depending on your mood or needs, you may prefer steel to have a drum to just pound on, or you may prefer the look of wood and its warm sound. Again, it’s all dependent on your preference. This again depends on the sound you prefer. A bigger drum will give you a larger area to hit and a longer tone. A smaller snare will give you a high pitched and tighter sound. The size will definitely affect the sound you will get, so don’t get stuck on the actual size, but focus more on the sound you want. The most common snare drums size is a diameter of 14 inches and a depth of either 5 or 6 1/2 inches. The snare drum is often purchased before the rest of the drum kit. 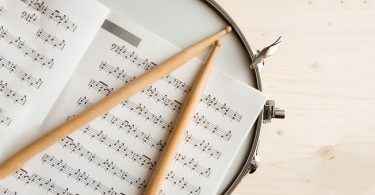 Many students will start off practicing their rudiments and technique on a snare before branching out to other drums. It is common to not buy a great snare drum the first time as you really don’t know yet what you are looking for, or you might be a parent purchasing an instrument for your child. Here are a few tips on the different features of a snare drum and what to look for. The snare is the most important part of a snare drum since that is where it gets its name. 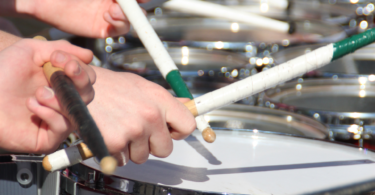 The snares are cable or wires that are spread along the bottom head of the snare drum. The snare will vibrate when you hit the drum and give off a crisp or crack sound. 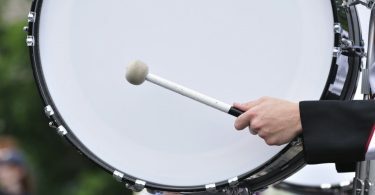 The shell of the drum is made of either metal, wood, or acrylic. The type of material a drum is made of influences how it sounds. Either a plastic or calfskin drum head is used on both the top and bottom of the snare drum shell. The “batter” head is the top drum head that is stuck with a stick or brush to make a sound. The “resonant” head is the bottom head, and it is what creates that crisp sound. These are round metal or wood pieces that keep your drum head in place. Screwed through the hoop is a tension bolt that then goes into a lug that is attached to the shell. These bolts are tightened with a drum key, and the tension created then makes a higher pitched tone. This is the device that is fitted to the side of the snare drum, and you use a screw to tighten the snares. This is a switch that is connected to the strainer that loosens the snares from the bottom head making it sound like a tom. If you are looking for a warm sound, you will prefer a wood shell over a metal shell. Maple, mahogany, and birch are the most commonly used woods to construct a shell. Each of the woods have a different sound. You will get a refined, warm sound from maple, and a more focused sound that blends well from birch. Mahogany gives you a deeper sound than either birch or maple. Metal shells will give you a sharp sound that will cut through the music your band is playing. Aluminum and brass are the most common metals for constructing drum shells. You get a sharp and pointed sound with brass, and a thin, pingy sound with aluminum. How deep your shell is tells you if it will have a low or high pitch. Shells that are five inches have a high pitch, while a 6 ½ inch shell will have a tone that will blend well with what your band is playing. Metal will make snares that sound like a “snap” while cable snares have a full sound. The material of the snare will ultimately determine how your drum sounds. You can either get a shell that is made of one solid wood piece that will give you a pure sound, or you can get a shell that has multiple plies from several layers of wood. The multiple layered shells are most common. For hoops that hold tension very well, some drummers prefer die-cast hoops instead of triple flange hoops. Built-in dampening devices are sometimes mounted to the inside of the snare shell. It presses felt against the bottom of the batter head to mute it a little. The most common specialty snares are soprano and piccolo snare that are used for specific musical styles like hip-hop. Piccolo snare drums have a higher pitch and smaller sound than regular snare drums, and they are smaller in diameter and depth. 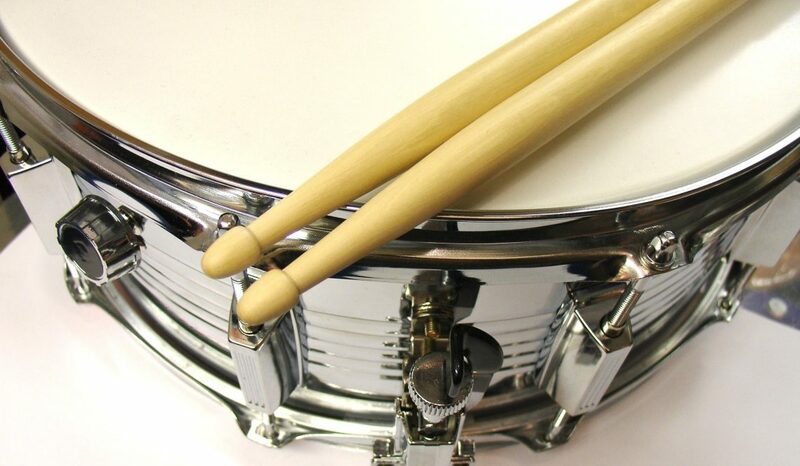 A normal snare drum is usually 14 inches in diameter and between five and six and a half inches deep, a piccolo snare drum is around 13 inches in diameter and only three to four inches deep. 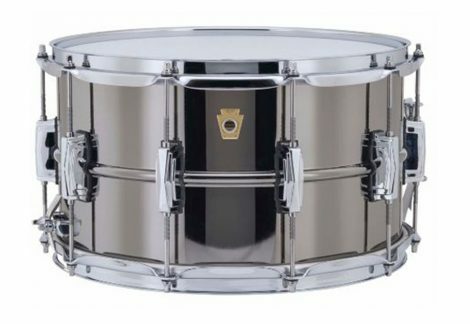 Soprano snare drums also have a smaller diameter than regular snare drums, but they tend to be a lot deeper. They have a distinctive pop that makes them ideal for specific musical styles like hip-hop. As you shop, you will become more familiar with snare companies like DW, Ludwig, Gretsch, Mapex, PDP, ddrum, Ayotte, Tama, and Sonor. Other companies like Pork Pie make specialty drum, and orchestral snare drums are made by companies like Black Swamp that specialize in them. Keep in mind that a great sounding snare drum will have a value that increases over time, so it really is an important investment. Many drums become collector’s items, especially if it is a limited edition. High prices don’t necessarily mean a great sounding drum, so do you research and test it out before shelling out a lot of money on a drum. The Pearl Vision Birch Snare Drum is a limited edition VX snare that gives you the aggressive attack and strong punch of a birch shell. The functional hardware is very stylish, and it includes the limited edition badge as well as the classic eight lug design. It also features 1.6 mm steel rims and an SR-900 dual strainer. You can even choose a black or ivory finish and chrome or black hardware, so you can mix and match for your own preferred look. It comes with a white drum head. This is a very affordable snare drum at $100, and customers have given it great reviews. The Ludwig Supraphonic Black Beauty is one of our most expensive snare drums listed, but it is definitely one that lots of drummers are talking about. It is available in two sizes 14” x 5” or 14” x 6.5”, and it is made of brass with a nickel-plate finish. It has a very full and warm, metallic sound. If you can afford the price, it is definitely one of the drums you should consider. The Ludwig Black Beauty is created using one sheet of brass that is machine drawn and spun. The result is a seamless beaded shell with the chrome plate as a gorgeous finish. The fat sound will cut through any thick mix, and the Ludwig P85 Supraphonic strainer makes it extremely responsive with either very hard or soft strikes. 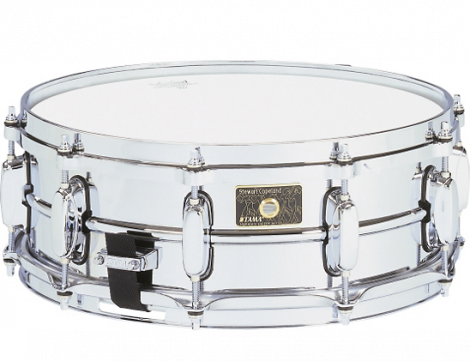 This is a limited quantity snare drum because of their difficult manufacturing process, but if you do shell out the cash, it runs around $750, and it is a drum that you will definitely use for a long time. 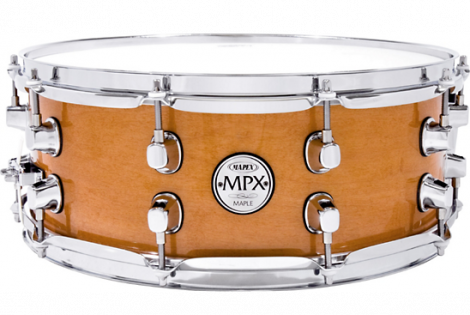 The Mapex MPX is an all maple shell from a company that is well-known for its elegant but unique sound. This 14” x 5.5” inch shell is made of several maple layers, and it is definitely lovely to look at with shiny chrome hardware. It has a full and warm sound that would be a great addition to your set. It has 2.33 mm thick rims that give you great sounding rim shots, plus it comes with Remo heads. It is an easy to tune drum that is available for $120. The Pork Pie Little Squealer is one of the highest rated snares on the internet. 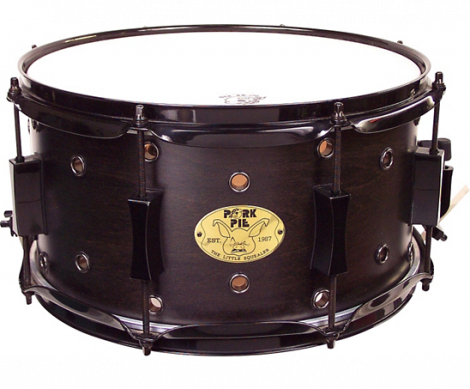 The Pork Pie Drums Corporation is one of the more popular drum companies on the market. The Little Squealer is a 13” x 7” snare with a Black Ebony finish. 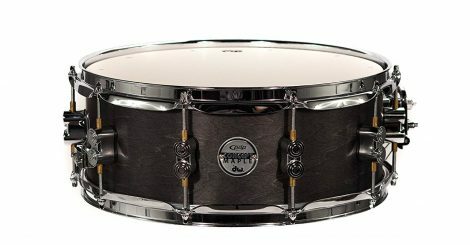 It is made with a rock maple shell, hand-sanded black hardware, brass snare wires, and vents. It has a nice warm sound that is tunable to your preferences. It is made of 8 plies of maple, and the bearing edges are precision cut and hand sanded. It comes with cast hourglass lugs and heavy-duty 2.3 mm hoops. Pork Pie pays a lot of attention to detail, and this snare drum is no exception. You can find the Pork Pie Little Squealer for the affordable price of $249. The PDP Maple Snare Drum is a prestige maple snare drum from the Pacific Drums brand. They always give a customer a solid build, and they definitely have the reputation to back their products up. This is a 14” x 5.5” sized drum that features maple hoops and brass tube lugs. It has very solid construction with a smooth sound. This also has a warm tone like the Pork Pie, but there is some difference. This is why it’s a good idea to go and try them out before buying to make sure you are getting the sound you want. 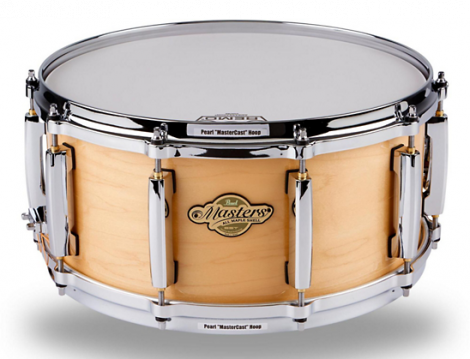 It is also at the same price point of $250, so it really comes down to what you are looking for in a snare drum. t is a maple shell with a double Bubinga inlay, which is a high-quality wood, plus it has a glossy smooth finish. Mark Schulman is the musician behind the drum, and he has worked with Gretsch to come up with a great build and a unique sound with this snare. 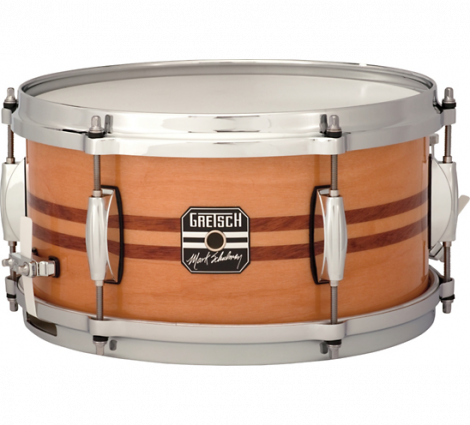 It is available in two sizes, and it has quickly become a staple in the Gretsch snare drum line. It comes with 42 strand snare wires, bearing edges with 45-degree cuts, die-cast hoops, and a very strong high-end crack for those challenging drumming styles. The durability and versatility of the Gretsch Drums Artist Series have been seen onstage by many musicians. The Artist Series was created to capture the expression of the artist’s special drumming style. The Mark Schulman Artist Series snare drum is available in the $400 range. 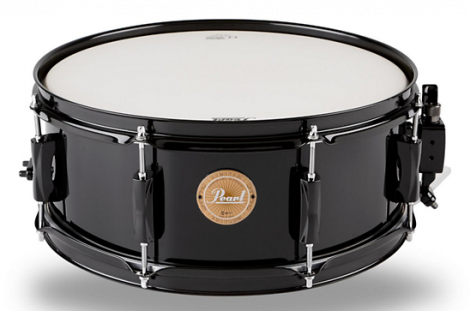 The Pearl S1330B Piccolo is a snare drum that is a little less expensive than the other snare drums on this list. This is a smaller snare called a piccolo that gives you a dry “crack” sound when played. Compared to others, it has a higher pitch and tighter sound. It may not become your main snare drum, but it is a great snare drum to own if you like changing up your sound, especially since it is very budget friendly. The Pearl S1330B has gotten awesome reviews, and Pearl is thought of as one of the best brands on the market. 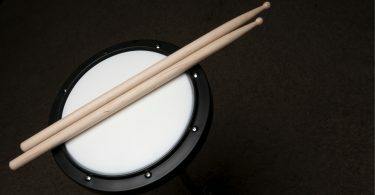 The Piccolo drum has become one of the best-selling types of drums, and it has become more widely used by drummers today. They have a firm sound with a crisp intense attack and superb projection. They are commonly used as either the main or secondary snare in most drummer’s kits. It is a 13” x 13” drum that can be made with either Maple, Brass, or Steel shells. Depending on your choice, you will have a different sound from the other two shells, but you are able to fine tune the pitch to your preferences. The Pearl S1330B Piccolo is available the very affordable price of $140. The Pearl MCX Masters Series is another great snare drum to consider. This is great high-quality snare made by the well-known brand Pearl. This is the MCX Series that is comparable to the Ludwig’s Supraphonic line. The Pearl MCX is constructed with 6 plies of Maple, plus a high-gloss lacquer finish. The sound is excellent with this high-quality built shell, and it comes with die-cast hoops. It is a little more affordable at the $350 price than the Ludwig, and it is definitely worth the investment. 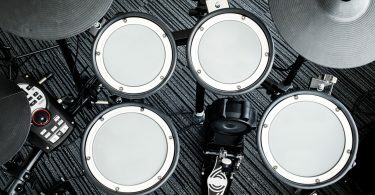 The Tama S.L.P. 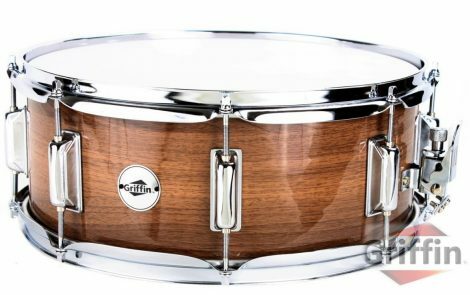 G-Bubinga is made by a well-respected brand popular with professional drummers. This is an excellent snare drum, and it is possibly one of the best snares that Tama has in their collection. 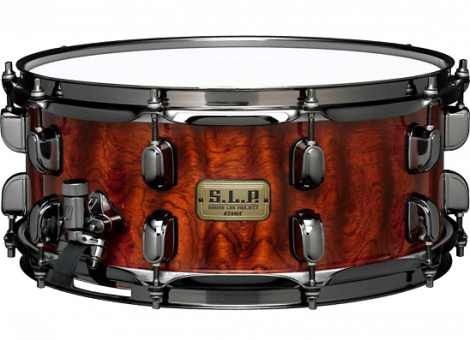 It is a 14” x 6” twelve ply snare with a 10 mm shell made of Bubinga (a very high-quality wood). This is a durable wood build that is great for rock, R&B, and pop, and pretty much any other style of music. It has a great punch sound that has a huge low-end. It comes with low-mass separate lugs that enhance its resonance and 2.3 mm flanged hoops. This is one of the best all-around snares in this series, and it is available in the $350 range. 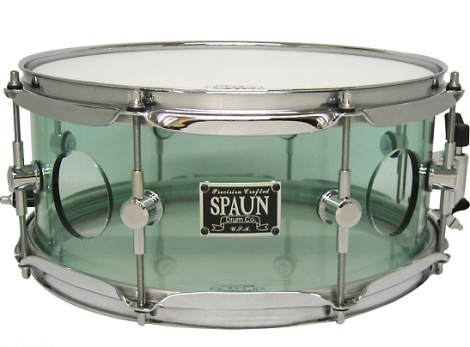 The Spaun Acrylic Vented Snare has a great online reputation with customers. It is made of acrylic, so it looks awesome, and that is always a plus. It has a loud crack to it with a tight and poppy sound when it is hit. The Spaun gives you a more focused and dark note that is similar to their Carbon Fibers snares. It comes with round lugs and large round vents that give it great projection along with a sweet look. It is also affordably priced at $269. Tama has come up with the best-named snare ever. The Tama Stewart Copeland is a collaboration between Tama and Stewart Copeland, drummer for Police, have teamed up to give us his take on an awesome snare. It is a 14” x 5” shell that is an average sized shell, and it is made of brass that is 0.5 mm thicker than the average 1 mm shell. It comes with a die-cast battery hoop and a triple-flanged bottom hoop. The overall snare is made up of different types of metal that give it a very unique and penetrating sound. It is available in the $400 range. The Griffin Snare Drum is the most affordable snare drum on this list. This is an average sized snare drum that has a great reputation among its owners. It is a solid build with a 14” natural wood maple shell. The Griffin Snare has a punchy sound with an aggressive and sharp attack and a strong punch. It has eight tuning lugs to make it more stable and give it a higher quality sound. The snare drum throw-off can be used to loosen, mute, or tighten the snare to your preference, and you even get a drum key with each snare. The lovely natural wood has a basic high-gloss finish, and it is available in glossy pearl white, glossy black, and silver sparkle, and comes with a white-coated drum head. It is available at the very budget-friendly price of $45.